Although it looks like a second Essential Phone is out of the question for the moment, the company behind the so-called PH-1 smartphone is going to continue to provide timely security updates for the next few years. Essential confirmed recently that its first smartphone will receive major Android OS updates for two years, and three years of security patches. Since the Essential Phone made its debut on the market back in August, it's likely that Android P will be the last major software update the smartphone will receive. 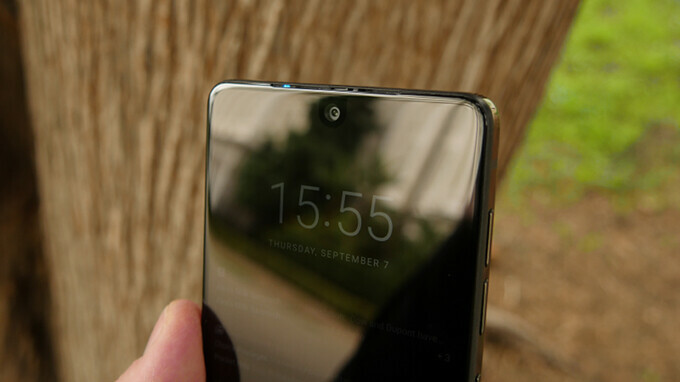 However, security updates will probably continue to come to the Essential Phone until August 2019. The announcement doesn't really come as a surprise, even if Essential supposedly canceled its next smartphone, as the company is known for delivering software updates quite often. Despite the fact that the Essential Phone wasn't the success the US company hoped it would be, it's nice to know that the smartphone will continue to be supported throughout the next few years. Tight, I don't doubt that they try their best to keep this commitment. Just hitting 8hr sot and 35% battery left to go on mine currently, it may not be much to others but in my use it really is a decent phone. I'll second the battery life. Was the biggest surprise to me when I got the phone. Because I don't use my phone all that much, I charge once every 1.5 days, and I usually still have about 30-40% left at that time. Cool!!! I love my essential ph-1. essential should sue apple for copying. then they would have the finaces to make another great phone. Do you understand how litigation works? I'm looking for one on eBay right now. I have one brand new in the box. Never used or activated. So typical Android update cycle than, didn't really expect anything more to be honest. The camera is the only let down of this almost great great smartphone. Wanted to buy one, but decided not to when found many complain about many other issues as well: low screen brightness, touchscreen glitches, bad wifi/bluetooth/LTE reception. I don't think low screen brightness is an issue AT ALL. And it will be be even brighter if you go to settings and turn off "Adaptive Brightness." Touchscreen glitches supposedly existed earlier on. I wouldn't know; I bought this phone a couple of months ago and immediately updated to Android 8.1, and it's been perfectly fine for me. I recently did experience an odd LTE issue. My LTE wouldn't work unless I turned my WiFi on. I noticed this issue a couple of times over the course of a day or so, but haven't had it happen again after. Otherwise, general reception/signal quality is pretty good, better than the Note 5 it replaced. Well, they need to. It's their one and only phone, since the PH-2 has been cancelled.